This past week I began my holiday cookie baking and decided that I needed to try these cranberries in a cookie. 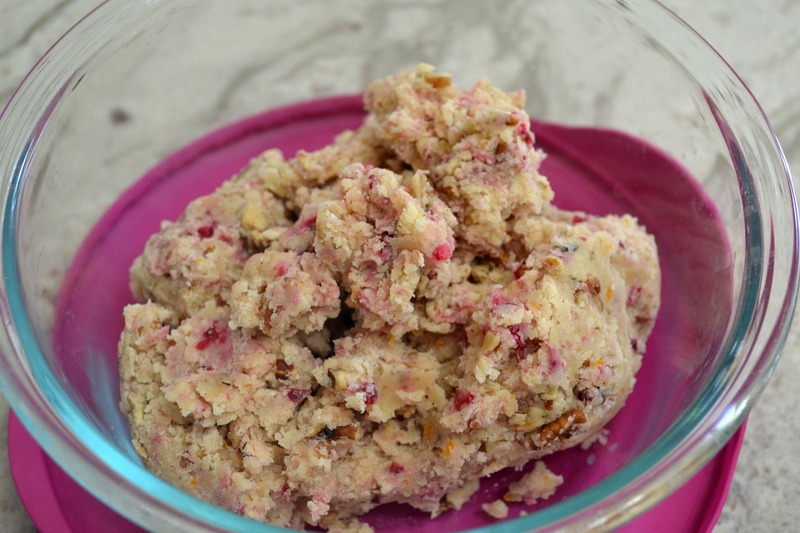 Frozen cranberries are perfect to use in homemade cookies. They are a beautiful, vibrant color and taste as good as they look. For this cookie, I used Mexican Wedding Cookies as my inspiration. I mixed up a basic dough recipe and stirred in some chopped frozen cranberries, orange zest, and pecans. LOVE the color this added to the cookie dough. Using a small scoop, shape into 1-inch dough balls and press down slightly. Bake until bottoms are light golden brown. Remove to cooling rack for about 8 minutes then roll in confectioner sugar. Cool another 15 minutes then roll in the confectioner sugar again. Place on serving platter and zest with remaining orange. Preheat oven to 350 degrees F. Line baking sheets with parchment paper or silpat mat. Sift flour into a medium size mixing bowl. Stir in the cinnamon, salt, and pecans. Set aside. In a large mixing bowl, using an electric mixer, beat the butter until creamy. Add the sugar, confectioner sugar, and vanilla and beat until well combined. Gradually add the flour mixture in 3 parts, beating only until combined, after each addition. Stir in the cranberries and 2 Tablespoons of orange zest until well combined. Using a small scoop or teaspoon, shape into a I-inch ball and then flatten slightly in hands. Place on baking sheet. Bake about 10 minutes or until bottoms are light golden brown. Allow to set on cookie sheet about 4-5 minutes then transfer to a wire cooling rack for 5 minutes. Place remaining 1 cup of confectioner sugar in a small bowl. Roll each cookie in the bowl and return to cooling rack. When cookies are completely cool, roll each in the confectioner sugar again. Transfer to a serving tray and garnish with remaining orange zest. Makes 4 dozen. 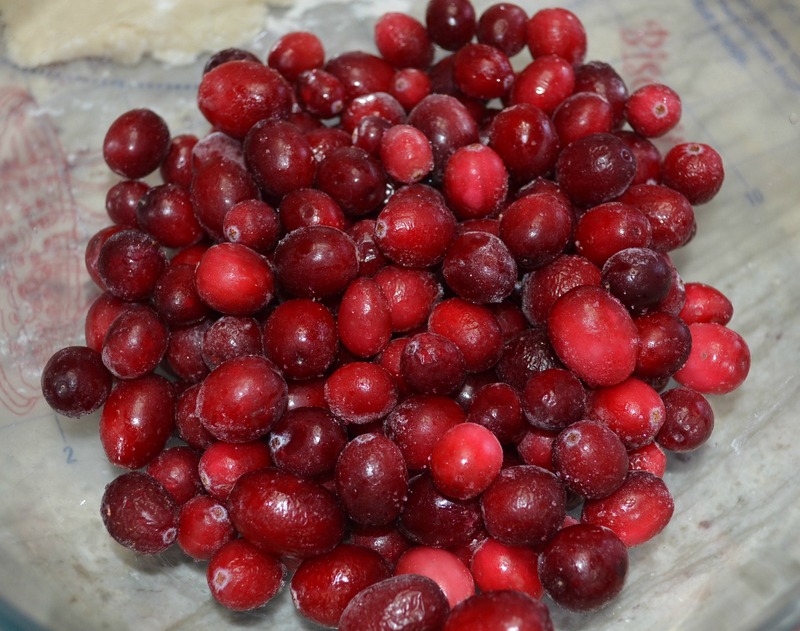 ** I place the frozen cranberries in my small food processor and pulse them to finely chop. ** These cookies freeze well. 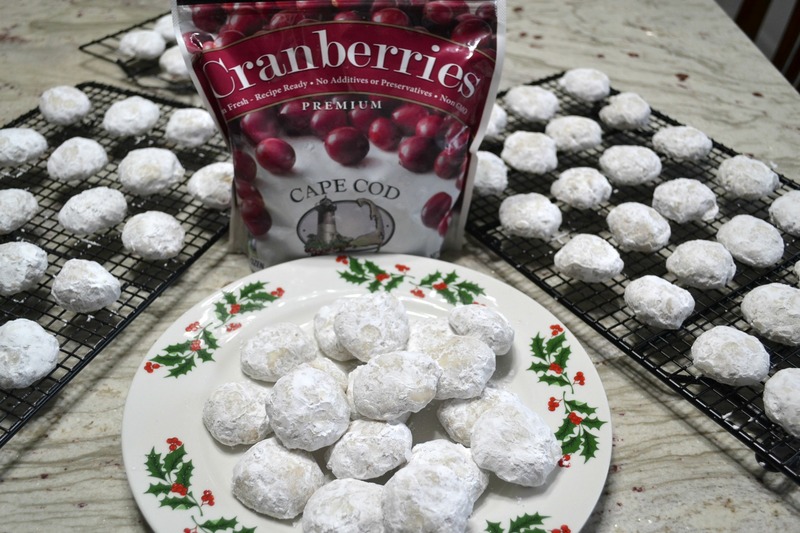 Do you think dried cranberries would work well in this recipe? 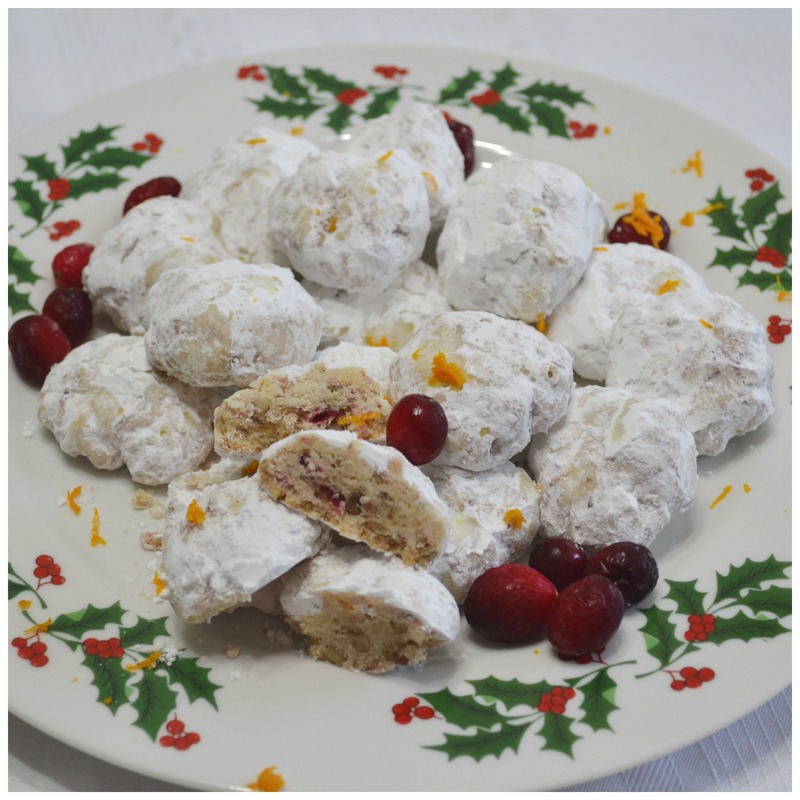 Do you think these cookies could be frozen and served on Christmas Day? Would freezing affect the texture and flavor?Thank you!!! I love your blog!!!!!!! Oh Lisa!!! You made my day. Thank you so much for your kind comments about my blog. I feel like I am such a loser! LOL…I am so computer illiterate. Anyway, yes these cookies freeze well. I always do mine ahead and have mine in the freezer now actually. Sometimes I dust a little more confectioner sugar on them and sometimes I don’t. The freezer doesn’t affect the texture at all. 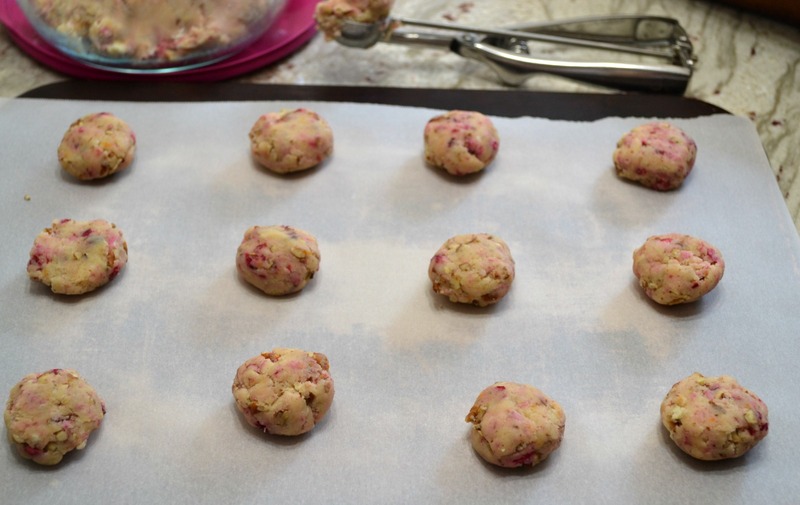 I think dried cranberries would work fine too, I haven’t used them but in other cookies I make, I have used dried when I didn’t have fresh and they worked the same. If you try this, please let me know how it works. I say go for it!!! Have a Merry Christmas.